Acordex Imaging Systems Acordex Imaging Systems is dedicated to creating customer focused, innovative imaging solutions. They develop both core imaging software and high performance integrated imaging systems for the trucking industry. Acordex has delivered software to OEMs, resellers and end users on six continents. Their systems integration business can implement a reliable, labor saving document management solution for your environment. Barcoding, Inc. Barcoding, Inc. is a national systems integrator and value-added reseller (VAR), specializing in the development, deployment, and management of supply chain and mobility systems based on automated data capture and wireless technology. More than 2,500 organizations depend on Barcoding, Inc. as their trusted advisor for barcoding and radio frequency identification (RFID) applications automating operations including many leading transporation and logistics organizations. 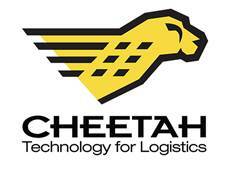 Cheetah Software Systems Distribution and logistics operations are being challenged as never before to cost-effectively grow their businesses while satisfying customer service demands. Cheetah provides the technology to do both. We transform the economics of logistics operations with industry-leading automated route optimization, dynamic driver selection and real-time access to information across the supply chain. The results are vast improvements in efficiency, operational visibility and service performance. Cheetah makes your business better at every turn. Cyberscience Cyberscience provides innovative database analysis, business intelligence, decision support, production reporting and rapid application development solutions. We break the barriers to data and liberate information to help users gain strategic advantage. Cyberquery, the engine behind our world leading Business Intelligence solution is the result of more than thirty years experience meeting the needs of thousands of business users worldwide. DDC FPO DDC FPO is the world-leading specialist in Freight Process Outsourcing [FPO]: The digitization, capture and processing of any freight-based paperwork, documentation or associated task. As a division of The DDC Group, a worldwide network of BPO experts and solutions, DDC FPO serves as a key partner for freight and logistics companies worldwide, reducing costs and improving operational efficiencies so clients may focus on their core competencies. Since 2005, DDC FPO has ranked #1 for customized freight solutions in North America. The solutions focus on creating a standardized system for each client, enhancing the quality, cost containment and labor elasticity of the freight back-office. EBE Technologies From financials and logistics to recruiting, safety and driver performance, EBE’s SHIPS enterprise process management software utilizes unique Automated Decision Support and eWorkforce technologies to streamline labor intensive, repetitive processes company-wide. Through its integration capabilities, SHIPS transportation specific applications leverage information already stored in your current systems to reduce labor costs, improve efficiency and increase profitability. IBM A leader in the invention, development and manufacture of the industry’s most advanced information technologies, including computer systems, software, storage systems and microelectronics. Omnitracs Next-generation wireless communications is emerging as the most important technology of this millennium. To ensure that the entire wireless industry is inspired and continues to evolve, innovate and experience success, QUALCOMM develops its technologies and solutions for the purpose of enabling key participants in the wireless value chain. By partnering with and acting as an enabler to the business activities of these participants, QUALCOMM ultimately enables consumers, professionals and government entities — the end users who benefit from the success of the wireless industry today and into tomorrow. PC*MILER PC*MILER is the routing, mileage and mapping software depended on by today’s transportation industry. Accuracy and reliability have positioned PC*MILER as the technology used by over 21,000 leading motor carriers, shippers, and logistics companies around the world. The U.S. Department of Defense (DoD), the General Services Administration (GSA) and the Federal Motor Carrier Safety Association (FMCSA) rely on PC*MILER as their worldwide distance standard. PC*MILER, quite simply, the industry standard. PeopleNet PeopleNet is exclusively focused on providing innovative Internet-based and integrated onboard computing and mobile communications systems to improve North America’s trucking industry’s fleet management. Its products are used by nearly 1,500 truckload, LTL, private, and service fleets in the United States and Canada, including several Fortune 500 companies. Reputed for its customer-driven technological innovation, unparalleled flexibility, and proactive customer care, PeopleNet was the first major technology provider to offer Internet-based communications to the transportation industry 15 years ago. Since then, the company annually reinvests 100 percent of its profits into the business for aggressively developing new products that continue to improve fleet management. Progress Software Progress Software is a global software company that drives Operational Responsiveness by delivering the industry’s best business application development platforms with the highest productivity and fastest time-to-value. For more than 20 years Progress has offered partners around the world its industry-leading OpenEdge platform and an award-winning partner program on which to build their applications and grow their businesses. Today, Progress Software empowers a community of more than 1,500 application partners offering over 4,000 applications that serve 6 million users worldwide. Our combined customers are able to “make progress” by reaching the highest level of business performance, delivering deployment flexibility for public and private clouds and achieving the industry’s lowest cost of ownership. project44 is the world’s leading advanced visibility platform for shippers and third-party logistics firms. project44 connects, automates and provides visibility into key transportation processes to accelerate insights and shorten the time it takes to turn those insights into actions. Leveraging the power of the project44 cloud-based platform, organizations are able to increase operational efficiencies, reduce costs, improve shipping performance, and deliver an exceptional Amazon-like experience to their customers. Connected to over 175,000 carriers worldwide and having comprehensive coverage for all ELD and telematics devices on the market, project44 supports all transportation modes and shipping types, including Parcel, Final-Mile, Less-than-Truckload, Volume Less-than-Truckload, Truckload, Rail, Intermodal and Ocean. 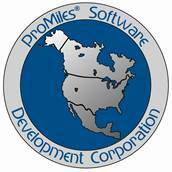 ProMiles Software ProMiles Software Development Corporation develops various types of desktop and Web applications such as Route/Stop Optimization, Fuel Tax Reporting, Fuel Management and Fuel Purchase Optimization. Companies such as Wal-Mart, Ocean Spray, Bayer and General Motors have benefited from the use of ProMiles applications. Every Canadian Province and the majority of US State/DOT Auditors are using ProMiles applications for IFTA, Log Book and IRP compliance verification. Royal 4 Systems Royal 4 is an international supply chain solution company. For over 25 years, Royal 4 Systems has been providing leading software solutions for the distribution, logistics, and manufacturing segments of the supply chain. These solutions service many mainstream vertical markets including automotive, medical, textiles, apparel, Industrial and consumer products. Their staff of seasoned professionals has spent decades of research and development in solving some of the most difficult challenges facing supply chain management. They know from years of cooperation and partnership exactly what their client’s requirements are, and they strive to fulfill those requirements in every aspect of their business. Shaw Tracking Shaw Tracking, owned and controlled by Shaw Communications Inc. (TSX: SJR.B, NYSE: SJR) is Canada’s leading expert in evaluating, selecting, integrating and implementing satellite-based solutions for business. Shaw Tracking offers integrated on-board computing technology and value-add wireless data solutions for the Canadian transportation, mobile workforce and logistics industries. For over 19 years Shaw Tracking has been focused on providing scalable over-the road fleet management business solutions for organizations of all sizes. With over 700 customers and 42,000 vehicles Shaw Tracking has established economic payback and proven results. SMC3 SMC³ is the foremost provider of data, technology and education as an integrated solution to the freight transportation community. SMC³’s core competency is its pricing expertise, which it delivers through products and services that simplify processes and promote collaboration between buyers and sellers of transportation services. Best known for its CzarLite, Bid$ense and RateWare solutions, the company serves more than 5,000 customers operating throughout North America. SMC³’s customer base includes shippers, carriers, logistics service providers and freight-payment companies. Squarerigger Software Squarerigger Software has long been recognized as a leader in vehicle maintenance software with its highly regarded SQ.7 vehicle maintenance system. Squarerigger has over 20 years of experience implementing major software packages in transportation businesses of all sizes. They have provided full service fleet maintenance software, inventory control products, mechanic time keeping applications, cradle to grave tire tracking systems, and have developed grand-scale service applications for large corporations such as Shell™ Oil. The Transportation Profitability Group Robert Sullivan founded The Transportation Profitability Group in 1986. The TPG system is the only cost model that can measure capacity and capacity utilization in pickup & delivery, dock and linehaul trailer utilization and factor into the costing process the potential value of unused capacity. Traditional costing systems assume the carrier is operating at 100% capacity, which is incorrect. The system also measures productivity in pickup & delivery, dock and measures the quality of the carrier’s customer base. Webtech Wireless Webtech Wireless is a leader in providing fleet management telematics, GPS and automatic vehicle location (AVL) solutions that improve efficiency, accountability and reduce costs. Our end-to-end solutions automate record keeping and regulatory compliance, reduce fuel burn and idling, mitigate risk, and keep drivers safe. Managers trust us to ensure people are accountable and vehicles are visible. Through the cloud, in the office, or straight to mobile devices, we deliver Fleet Intelligence Anywhere™. Our products areInterFleet®, for government winter maintenance, public works and waste management fleets; and Quadrant®, for commercial fleet operations and compliance (HOS, EOBR). Find out why our prestige partnerships make the difference.